While CV is a passport for landing that dream interview, committing serious blunders can harm even the remotest of chances to get shortlisted. While you scroll through hundreds of formats online, it is always essential to customize your CV as per your requirements. Simply coping a format from the net and filling in your details will not help you with anything. It gives recruiters one reason to chuck your resume down the thrash. Have a look at some of the common mistakes that candidates usually commit. 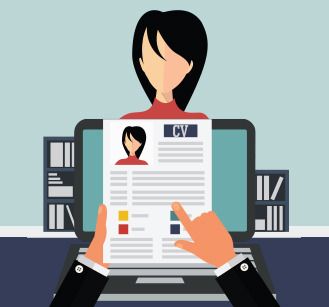 It will give you an eye opener and tips on how you can rectify these mistakes in your CV. While you are drafting your CV, make sure you choose the current resume format. If you are an experienced professional and randomly mention details without any format or sequence, it can hinder your chances of getting selected for an interest. If you have a vast experience, choose a chronological format. If you want to focus more on your skills, create a functional resume. Without a relevant title, your CV has no identify. It is the first striking element of your resume. If you wish to get noticed, give a catchy title to your CV. If you think that offering every possible information about yourself in your CV can help you get shortlisted, then you are wrong. Recruiters are not interested in your history and will not even glance through your CV. Even if you have a vast experience, only provide information regarding the relevant experience and restrict your CV to maximum 2 to 3 pages. If you have created a compelling CV, the next step is to proof read the document. You are bound to commit typos and grammatical errors. But if you don’t spend that extra minutes to rectify such petty errors, then it will surely cost you more than expected. If you creating a single CV and forwarding it across to all recruiters will help, then it is a wrong notion. Every job has different requirements and expectation. Hence it is essential to customize your CV as per the job you are applying for so as to get shortlisted. 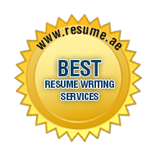 Resume.ae provides one of the best CV writing services in Dubai and Abu Dhabi. If you wish to create a strong CV which will definitely attract recruiters, then please contact Resume.ae immediately.